Over the decades and today, the Project Compassion box is a symbol of hope and generosity. The box is a practical way of helping those in need around the world. 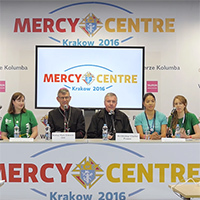 Caritas Australia has produced the short video below to celebrate 50 years of the Project Compassion box. Bishop Terry Brady said, ‘The boxes work for a lot of families’. Jane Sulis, Outreach Coordinator at Santa Sabina College in Stratfield said, ‘The Project Compassion box is a great example of a lot of people doing a little bit, that then aggrevates to make a big difference’. This entry was posted in Special interest, Videos and tagged Project Compassion on April 19, 2016 by ACBC Communications. 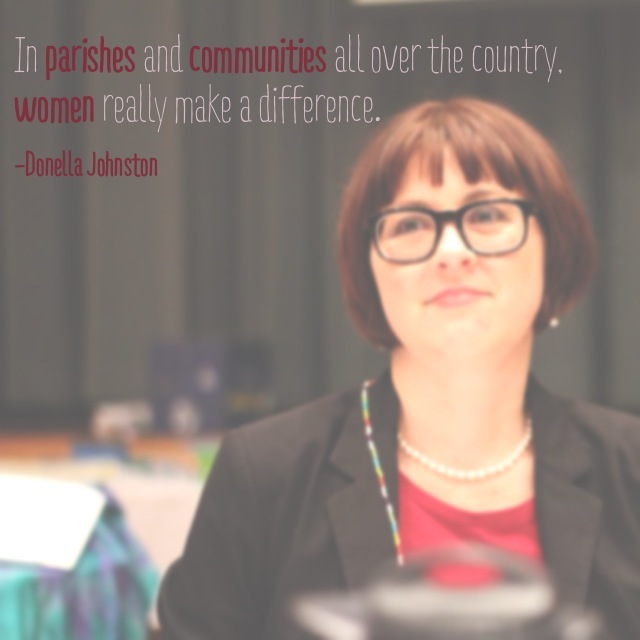 Donella Johnston is the National Director of the ACBC’s Office for the Participation of Women. This entry was posted in Videos on September 17, 2013 by Mark Wei. The Australian Catholic Bishops Conference Communications Office has released an eBook and parish resource to coincide with the celebration of the 47th World Communications Day, which takes place in Australia on Sunday, May 5. This entry was posted in Uncategorized, Videos on May 10, 2013 by Mark Wei. This entry was posted in Videos on October 9, 2012 by Mark Wei. 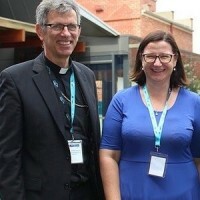 Australian Catholic Youth Ministry Convention -Registrations close soon!! 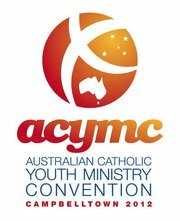 The Australian Catholic Youth Ministry Convention (www.acymc.org) will be held in Campbelltown from September 21-23. All those involved in ministry with young people from parishes, communities, movements, religious orders, schools and diocese are invited to attend to be formed and inspired for Catholic youth ministry. 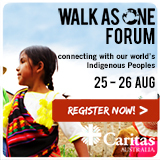 visit www.acymc.org to register. This entry was posted in Videos on August 21, 2012 by Mark Wei. In the midst of the lean season, millions of people across the Sahel, West Africa are now living through what is known as “the hunger period”. More than 18 million peopleare affected by the devastating food and nutrition crisis. 1 million children under five are at risk of dying from severe acute malnutrition and require immediate relief. An additional 3 million children are at risk of moderate acute malnutrition. Poor water resources, rising food prices and empty food stores mean many are eating just one meal a day. According to forecasts, the crisis will be acute until September 2012 in Burkina Faso, Gambia, Mali, Mauritania, Niger, Senegal, Chad, northern Nigeria and northern Cameroon. But, there is no certainty how long this will last! Stories from the ground show the difficult circumstances leading many to rely on humanitarian aid. This entry was posted in Videos on August 15, 2012 by Mark Wei.